Yes, my secret is out. I'm just juvenile enough to find this silly plate a must have! 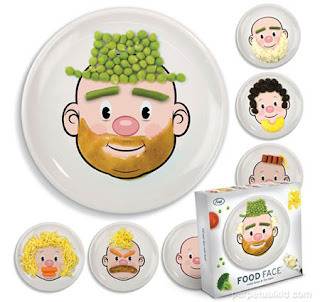 Playing with your food -- not only is it allowed but encouraged with this dinnerware. Those are SO cute. They don't really go with my decor, but if they did, I'd buy them.